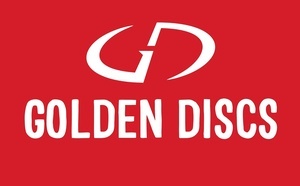 Every Friday, we give away a Golden Discs voucher worth TWENTY FIVE big fellas to spend at any GD branches in the country (14 in total). Care to celebrate the news of a musical collaboration between The Pogues and Wire creator David Simon with a song? Lines MUST close MIDNIGHT SUNDAY! 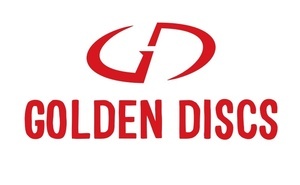 Posted in Misc and tagged Golden Discs at 3:53 pm on May 12, 2017 by Admin. “Then we raised a glass to J.F.K. With Phil Chevron on vocals rather than the bould Shane. Not including Fairytale, the finest song The Pogues ever recorded is Sally MacLennane. ‘Cos you’re just a drunken lout. It’s a Rainy Night in Soho because it’s simply a lovely bit of songwriting and a simple but beautiful piece of music. Not including Fairytale, the finest song The Pogues ever recorded is A Rainy Night in Soho. I might have suggested Faithful Departed (written by Philip) but I’m not sure The Pogues ever recorded it. FWIW, Rainy Night and Sailing were in the run-off in my head. Here Comes Everybody by James Fearnley is a good read, btw. Transmetropolitan is the best song ever written for going on an all day drinking bender. A Pair of Brown Eyes is a crackiing tune too, always makes me feel a bit sad when I hear it, for some reason. listened to that this morning, found it hard to pick between that and rainy night. That’s my fave too. Lovely song. PS. Perfectly happy now with a blue eyed maiden of a delightfully spirited demeanour. Not including Fairytale, the finest song The Pogues ever recorded is Body of an American. Because The Wire is the greatest TV show ever broadcast and I’m going to get my US citizenship soon and I plan on singing that in my local when I do. Good to see a nod to one of our greatest song writers in Shane McGowan and one of our greatest bands. Not including Fairytale, the finest song The Pogues ever recorded is The Sick Bed Of Cuchulain. 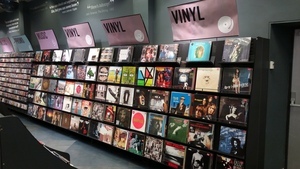 Musically it has not a lot to recommend it although it’s hard to dislike the slow-fast-slow-fast style typical of Pogues tracks and the witty and rambunctious delivery. Lyrically though, magnificent. No-one else but Mr McGowan could write a song like this and i’ll possibly be pushing Broadsheet.ie’s profanity filter a bit hard here. Not including Fairytale, the finest song The Pogues ever recorded is Fiesta because I pogo round the place like a lunatic to it… and then wonder why my knees need replacing! ‘Not including Fairytale, the finest song The Pogues ever recorded is “Worms”. It’s the last track from “If I Should Fall from Grace with God” and there’s a very long gap between the penultimate track and so it arrives horribly and unexpectedly. It’s a musical approximation of the horrors. Not including Fairytale or Worms, the finest song The Pogues ever recorded is “The Old Main Drag” because in just six verses it paints an evocative picture of a squalid, alocoholic, melancholic other World. Besides Fairy tale, the finest song The Pogues ever recorded is A Rainy Night in Soho. 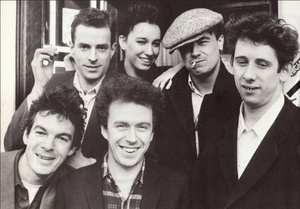 Besides Fairy tale, the finest song The Pogues ever recorded is ‘Lullaby of London’. Mac Gowan a modern Paddy Kavanagh. Not including Fairytale, the finest song the Pogues ever recorded is, Love You ‘Till The End’. It’s a beautiful ballad and it featured in the film, ‘PS. I Love You’. Love all their songs and music, an outstnding and multi-talented band. Shane McGowan’s songwriting skills are unmatchable. A Rainy Night in Soho came to mind straight away but because others have picked it I’ll go for something else. Haunted is sung by Cait O’Riordan and was first featured on the soundtrack to Alex Cox’s Sid & Nancy back in 1986. In many ways its the best thing about the movie – though I’ve always had a soft spot for Gary Oldman’s Sid Vicious. The song’s got one of McGowan’s most beautiful lyrics and its chorus of, “I want to be haunted by the ghost of your precious love” is pretty spine-tingling stuff. Is it as good as A Rainy Night In Soho? Hmmm. You know Sid would have been 60 the other day? the polished, Trevor Horn produced, Shane and Sinead version is good as well. I know the original had a murky charm, like…. not including ‘fairytale’ the finest song the pogues ever recorded was ‘and the band played waltzing matilda’ by eric bogle – arguably the best anti-war song ever written. no rendition of this tune ever matched shane’s road-weary and cynical delivery. there is very little perfect when it comes to the pogues, but that song is it. is The Boys from the county Hell. MacGowen at his best. Previous consensus on Rainy Night in Soho a very close second. An honourable mention for the whimsical beauty of “Summer in Siam”. Not including the magnificent A Fairytale Of New York, the finest song recorded by The Pogues is The Broad Majestic Shannon from their second album because even though it has some similarities to the tune of Fairytale, it also stands apart from it & because it captures the memories of the summers that Shane spent visiting his relations in Tipperary when he was a young fella. Liam Clancy also does a great version of the song. a bottle of smoke or the old main drag. although well known as well I pick fiesta. I don’t understand a word softlike said, but one of the words softlike said was Fiesta. I’m crying as I type… Hang on a minute…. (Sorry for buggering up your chances of winning softlike. I always post the BEST songs in these competitions. Guess how many times I’ve won?.. Is that what your Ma calls you? ‘Lorelei’. The late great Phil Chevron. Shane McGowan was in a pop group? I regularly e-mail a bloke who knows Shane, personally. Apparently Shane, Elvis Costello, Suggs out of The Specials and Terry Hall out of Bad Manners, and a representative of Diageo rent a cottage next-door to him in Donegal and he can hear everything they say when he’s in the jacks having a crap. It’s only €20 / month to get daily updates but most days nothing happens. …besides, he has 7 subscribers already. Ain’t nobody needs more than €140 a month. That’s like 7.77777777777777778 times the average weekly wage if you live in ‘Direct Unprovision’. I’m drunk, but I amm corrrectt. that was the right amount of sevvens. Not including Fairytale, the finest song The Pogues ever recorded is dirty old town. It’s why I learned the piano and haunted the mini-Linns to go to piano lessons too. White City, an Irish tune and Shane’s love of London. Best, maddest gig, I was ever at was seeing them in Dec. 1988 in Brixton Academy. Kirsty McCall guested and one of the guys I was with went missing for three days, on the night. He met a girl from Reading and went on a major session. Turned up on the Sunday totally blasé. Honourable mentions to Body of an American, The Old Main Drag, A Pair of Brown Eyes and Thousands Are Sailing. Not including Fairytale, the finest song The Pogues ever recorded is…I love them all but it has to be ‘ A pair of brown eyes’ – it’s Shane’s anti-war song that rivals ‘Waltzing Matilda’. Cait’s smokey harmonies comforting Shane’s raspy sorrowful tone, arguably the best example of how he actually could sing back in the day. The song has everything the Pogues were all about. “A hungry sound came across the breeze, so I gave the walls a talkin’, and I heard the sounds of long ago from the old canal. And the birds were whistling in the trees where the wind was gently laughing”. Shane’s song writing is unrivaled but when it’s combined with the genius and musicality the rest of the gang are blessed with – it’s pure magic. I saw them when I was nine, snuck into The Stadium on South Circular Road by me aunties in 1989 and it set me up for life! Are you sure t’was the National Stadium? Yeah you’re right t just checked with the girls it was 91, still an impressionable 11-year old! Don’t know how they managed to get me in, I do remember them dressing me up and putting make up on me. Either the bouncers were duped or they just felt sorry for me! -Good aul oirish establismentarianism gets pat to do the trial by tv…..
Great post and a good reminder of a somehow still living legend.